A HUGE thank you to our youth parents that helped with the scrimmage on Friday night. It would not be possible without you. It was a great night of wrestling, learning, and fun. 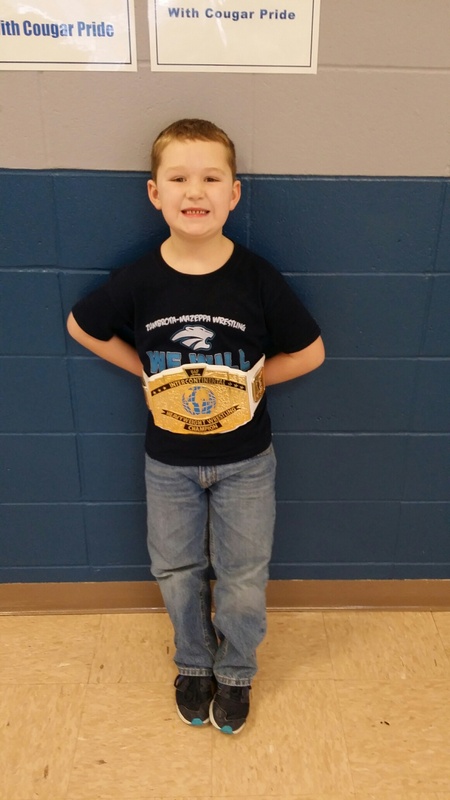 Our Wrestlers of the Week and showing off their belts are Brody Lohmann, Colby Dohrn, and Dalton Hall. Brody is a kindergartner and son of Duncan and Jennifer Lohmann. Colby is in 3rd grade and son of Perry and Carrie Dohrn. 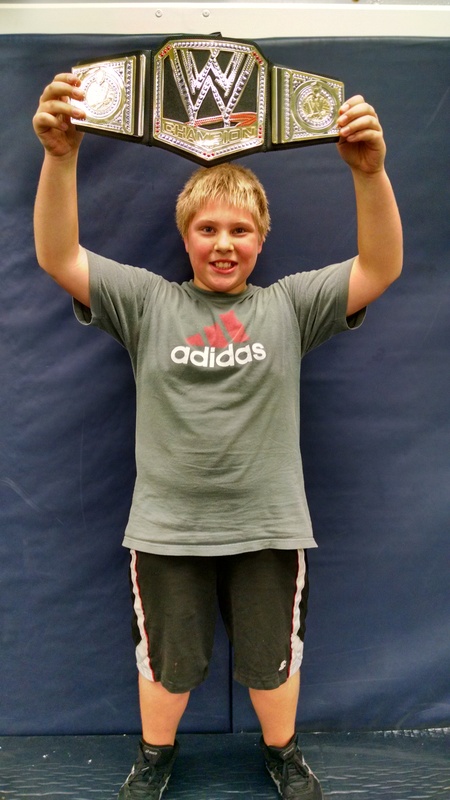 Dalton is a 6th grader and son of Aaron and Amber Hall. Congratulations boys and keep up the good work! 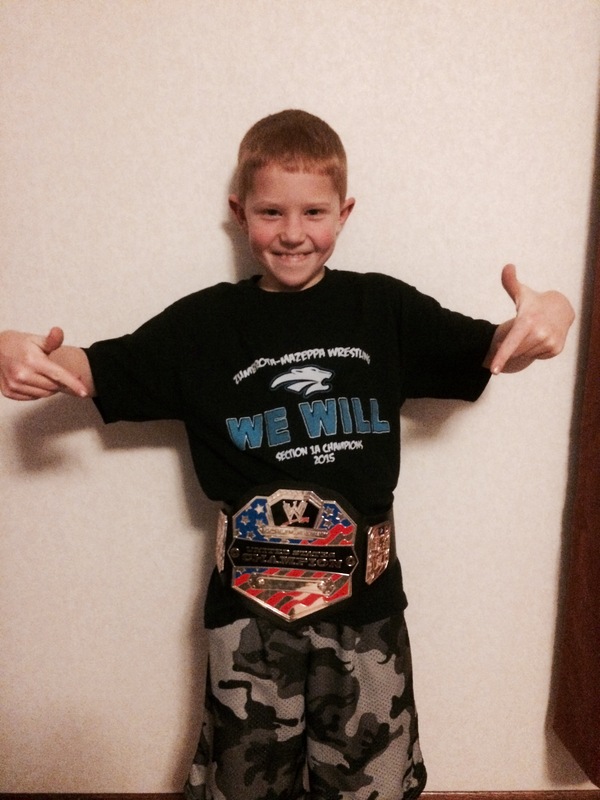 The youth wrestling shirts and warm-ups are in. Please pick them up at practice tomorrow. Lacey will be in the concession stand or hallway handing them out. No word on singlets yet. Wednesday- Youth individual tournament in Pine Island. Saturday- Youth individual tournament in Plainview.